You love your pet so you do everything you can to keep them healthy and happy. Your pet can’t talk so they’ll never be able to tell you what a great job you’re doing, but that doesn’t matter. You see your efforts pay off when your pet has the energy to run, jump and play. Unfortunately, no matter how well you take care of your pet, many accidents and illnesses are out of your control. At Hebron Veterinary Hospital, our staff emphasizes preventative pet care and client education. We appreciate your efforts to make sure your pet has healthy meals, exercise, and annual wellness visits. Preventative care is the best way to keep your pet happy so they can continue inspiring your whole family. We realize that unexpected illnesses and conditions occur no matter what you do. We offer a complete list of internal veterinary medicine services to help restore your pet’s health and happiness. Our full diagnostic capabilities allow us to evaluate your pet’s condition without transporting them to a distant facility. We conduct a physical examination, but we also rely on radiology and ultrasound technology. These diagnostic tools allow us to determine what’s wrong and establish an immediate treatment plan. 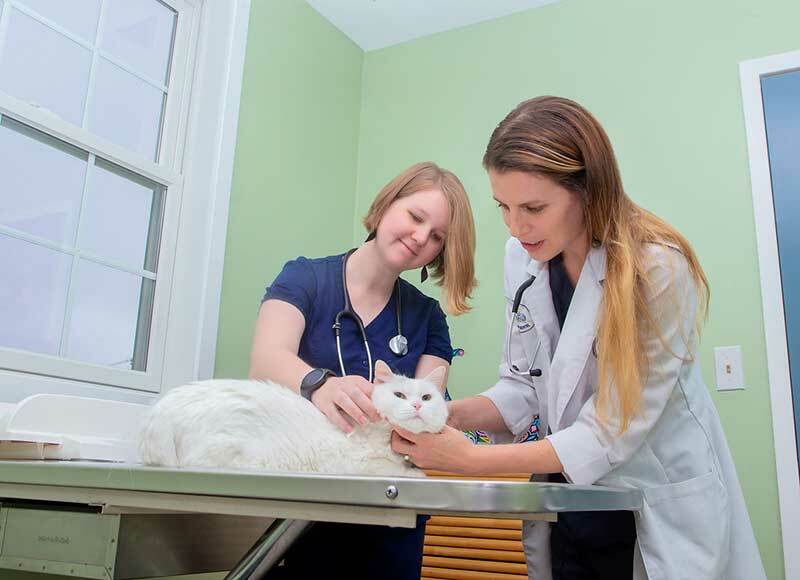 Our focus on internal veterinary medicine allows us to assess and treat a variety of critical pet conditions. We designed our practice to give your pets the care they need. We’re proud to offer the same diagnostic and treatment services as major pet medical centers. It’s part of our drive to offer our clients and patients the best care possible.